One of the most memorable critiques I've ever received was one concerning my studio practice; it came from a man I deeply respect and whose influence I am continuously grateful for (especially when that influence pops up so unexpectedly, like this). Having observed my studio rituals for years, and understanding exactly where I need to get myself mentally before I begin to work, he told me that I had to learn how to paint when I am upset. He knew that part of my creative process was to first mentally arrive at my "happy place", and that getting to that state of mind propagated my focus and productivity. He also knew that there would be days like today, when I can't pay attention because I'm feeling everything, when I'm distracted by negative energies, when I'm preoccupied by anxiety over things I can't change. (Damn you, full moon, ripping me open again! **shakes fist in the air**) I have tried to learn how to do this with equally occurring successes and failures. . . but the truth is that I'm not very good at being a "tortured artist". I'd much rather paint happy. 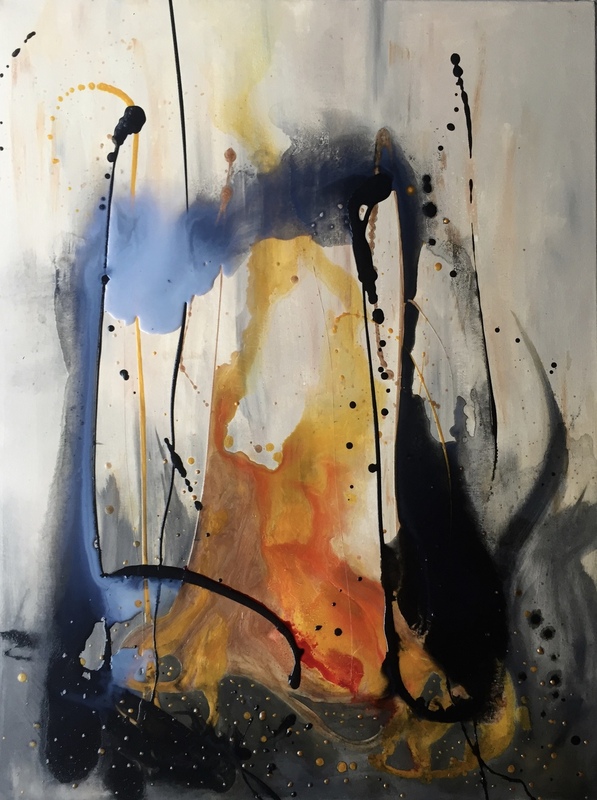 But I'm sure many of you fellow creatives can attest that sometimes angst manifests itself as a thoroughly muddied mess- but more often it produces master works of art, and without some connection to that level of emotion, the majority of artistic endeavors would be banal displays, void of any humanity. Either way. . . on a day like today, where it's hard to get in there at all, and I can only focus a little at a time, I'll take any successes in the studio. I've been working on a painting that was originally intended to be an autumn piece. I'm impatient for my damn pumpkin spice and jacket weather to get here, for sure . . . but after seeing this little man yesterday, I haven't been able to get the image out of my head. It wasn't an intentional perspective whatsoever; I didn't have the photo open while I worked, I didn't color match the palette, and I wasn't trying to make a political piece or statement. I was just SO preoccupied with him today. With all of it. As always, the painting isn't dry or done, so it will change from here. I just wanted to highlight how easily influenced autonomous abstraction can be and why I usually have a ritual to clear my mind before I paint. It all goes in there. Here's a list of charities that provide aid to Syrian Humanitarian Relief. Proceeds from the sale of this painting will go to one of them. 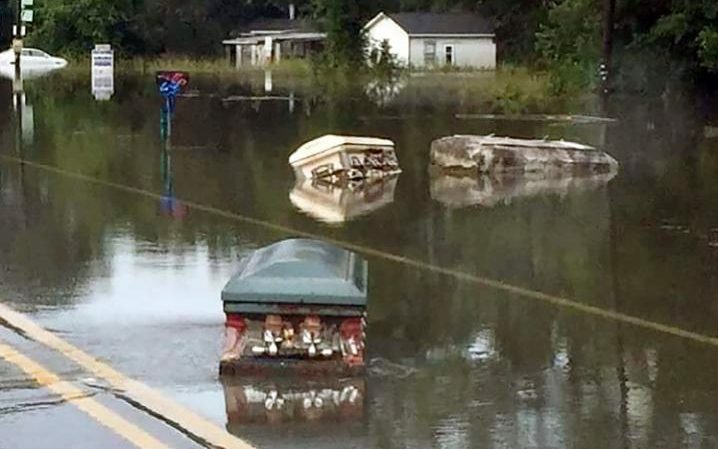 I've also been floored by photos of floating caskets in the flood waters of Louisiana- another image I can't get out of my head. I'm happy to hear that people down there are helping each other out so much, but it's a terrible shame that the media wants nothing to do with it. Seems like good press isn't even good press these days. Sorry to get all doom and gloom on ya, kids, but that's just where my head was at today. I assure you all is well, please do not worry. It's just the cycle of things. <3 Tomorrow will be a bright day indeed! Here's the time lapse video for my finished painting, Rosewater and Gold. I shared some delicious little photos on my last blog post, but I try not to leak any pictures of the full composition until I know it's fully dry and complete. I'm happy with the tone of the final piece; there's been so much struggle and strife lately, it's been therapeutic to birth and sculpt something that is just quietly beautiful and warm. I see a lot of us facing life's struggles head-on right now, which is important; but I think it's also necessary to simultaneously embrace love and light and mutual happiness. I hope that this happy little painting will brighten your moment. One of the neatest things about this piece is that it sparked some awesome collaboration from my lovely friend Monte - there are photos below. (Also, Make sure you go here and buy this stuff!). I think some goals for my next painting will be to open up the visual space a little bit more, continue to mix up unusual colors for myself, and not say "um" as much in my commentary. Baby steps. It is probably necessary to note that at one point in this video I mention that this painting dried more slowly because I used watercolors to pigment the medium. This is a bit of a deceiving statement, because watercolors dry quite quickly when used as intended. In this case, I used many layers of acrylic medium that were pigmented with liquid watercolors and then mixed with more water, and that's why it took 3-4 days to dry. Sorry for any mix-up... I just didn't feel like editing the commentary. Thanks again for watching! Feel free to comment below if you've got any questions or comments regarding my process, if you've got something you'd like to see out of my next painting, or if you would like to commission a piece! Below are the digitally edited collaboration pieces I mentioned earlier. Aren't they dreamy? I pretty rarely work in pinks, so I thought I'd start a project that would challenge me with a new palette. I'm still waiting on it to dry, so no full piece pictures yet . . . but here are a few teasers. There will be another time lapse video of this one when it's done!